Download the syllabus .doc. Get an idea of what I expect from you by carefully reading the syllabus, first. Follow these steps for assignments of each chapter. 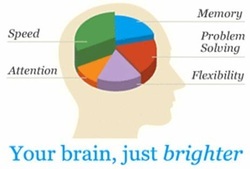 First, take the chapter test for reading skills to see how much you need to study. If you get 100%, you do not need to do the assignments for the chapter. In regard to the vocabulary, you must achieve 85% or better. Before leaving the chapter on reading skills, write a summary reflecting upon the important points of the chapter. What did you already know as you scanned through the chapter? What was new? You should include both opinion and facts. When referring to facts, it is important to give credit where credit is due. An in-text reference should include author + page #. Take the test. Pass with 100%! Download PowerPoint Presentation for Ch. 1. 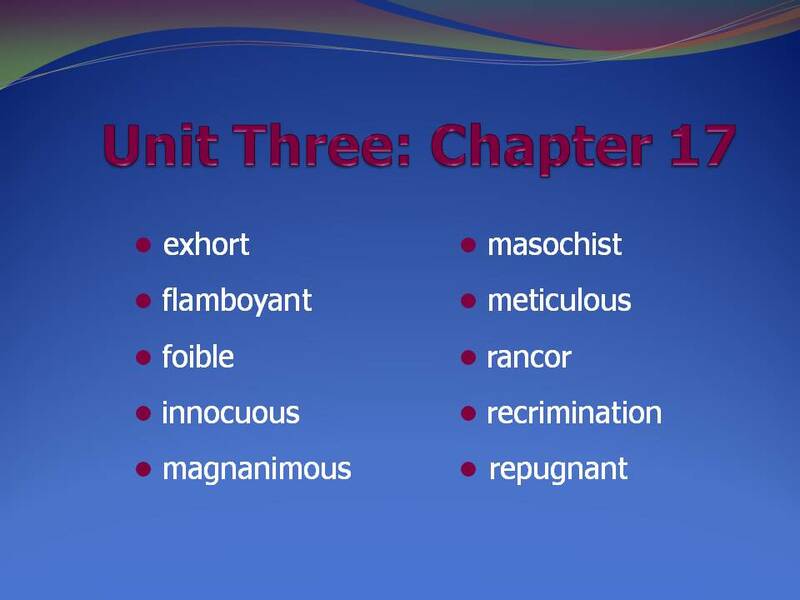 Take Unit 1 Test to see which words you need to study. Use Index cards to write word + definition of words you missed. 1. Figure out the meanings of new words through context. 2. Understand there are, basically, four context clues about what words might mean. 3. Understand that good textbook authors give clues to guide the reader in understanding unique words which are used by the writer. 1. Create your schedule: The best way to keep a record of your classroom assignments is by using assignment sheets. Download PowerPoint Presentation for Ch. 2. 1. Recognize that the main idea is the most important key to good comprehension. 2. Identify the three main strategies to find the main idea. 3. Understand that the main idea is not always at the beginning of a paragraph. Reading Log #1 Fill out the log from Read Aloud page. Be specific on what you did the first time you met with your reading partner. 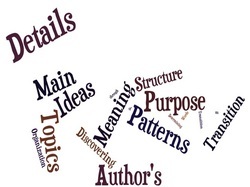 Did you create a mini lesson about vocabulary in context and how to find the main idea in reading? Download PowerPoint Presentation for Ch. 3. 1. Understand that major and minor ideas provide the added information to understand the main idea. 2. Identify list words and addition words which help to find major and minor supporting details. 3. Demonstrate the ability to use outlining, mapping, and summarizing strategies to successfully take notes. 4. 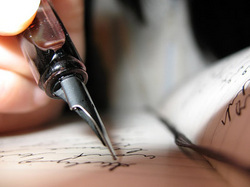 Understand the relationship in an outline between the main, major details, and minor details of a passage. Download PowerPoint Presentation for Ch. 4. 1. Recognize the importance of details in order to find the main idea. Download PowerPoint Presentation for Ch. 5. 1. Demonstrate the use of transitions to organize patterns between supporting details in paragraphs and longer pieces of writing. 2. Identify transition words that signal addition relationships. 3. Identify transition words that signal a series of events or steps in an order or time event. Download PowerPoint Presentation for Chapter 6. Download PowerPoint Presentation for Ch. 6. 1. 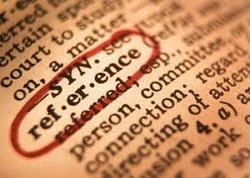 Apply the strategy of using definitions and examples writers give to understand new words in a passage. 2. 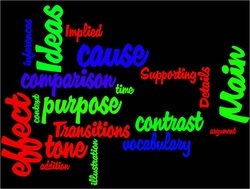 Apply the strategy of using transition words to understand comparison and/or contrast in a passage. 3. Apply the strategy of using transition words to understand cause and effect in a passage. Take the test again and see how well you did. Again, sort out those index cards of vocabulary words you still need to review and remember. Reflection #2 Submit your reflection here. Be specific in your comments and what you did last week. Reading Log #2 Complete the second session. What mini lesson did you teach your partner reflecting what we have learned in Chs. 2 and 3? Submit here. Download PowerPoint Presentation for Chapter 7. 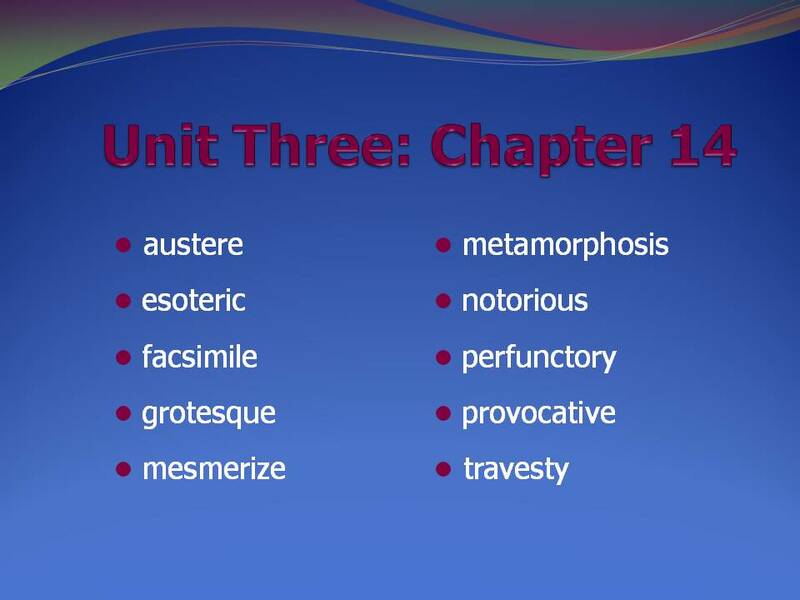 Take Unit 2 Test to see which words you need to study. Use Index cards to write word + definition of words you missed. Download PowerPoint Presentation for Ch. 7. 1. Apply information provided by the author to understand implied ideas. 2. Apply strategies used to find inferences to understand cartoons, tables, and graphs..
Download PowerPoint Presentation for Ch. 8. 1. 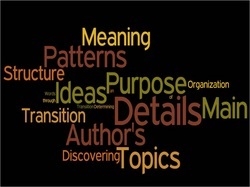 Understand the author's purpose to inform, to persuade, or to entertain. 2. Identify the author's attitude and feeling by identifying the tone of the passage read. 3. Identify irony in a written passage. Download PowerPoint Presentation for Chapter 9. Download PowerPoint Presentation for Ch. 9. 1. Explain the elements of a good argument which are to make a point or conclusion as well as logical evidence to back up a good argument. 2. Identify relevance of each piece of evidence in a good argument. 3. Identify whether an argument has adequate components or is missing something to make it a good argument. 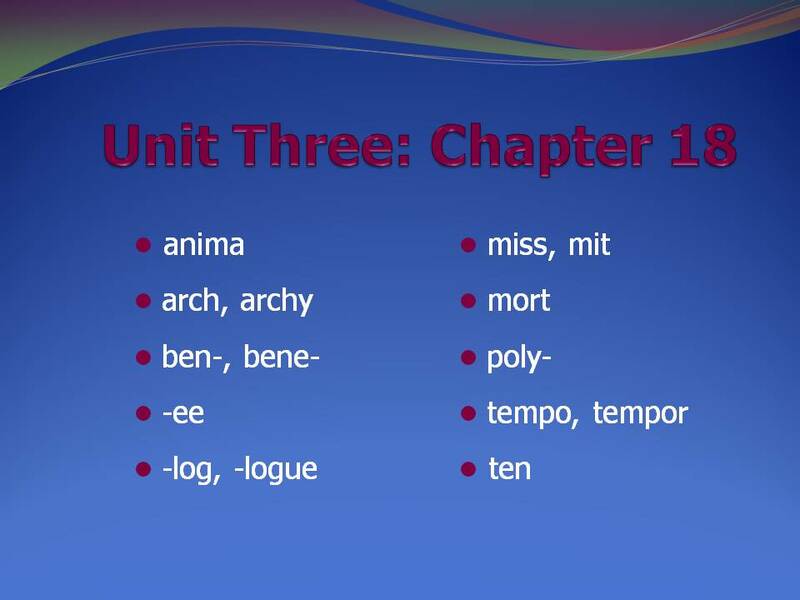 Download PowerPoint Presentation for Chapter 10. Download PowerPoint Presentation for Ch. 10. 1. Differentiate between fact and opinion. 2. Differentiate propaganda techniques which appeal to emotion than reason. 3. Recognize errors, such as fallacies, in reasoning. You have now finished the reading skills chapters. Be sure you have copied and pasted the tests into your ePortfolio. They will be a good reminder of important points to remember as you may need to review them again for other classes. Download PowerPoint Presentation for Ch. 11. Learn how to speed read. Download PowerPoint Presentation for Ch. 12. Taking notes the Cornell way. 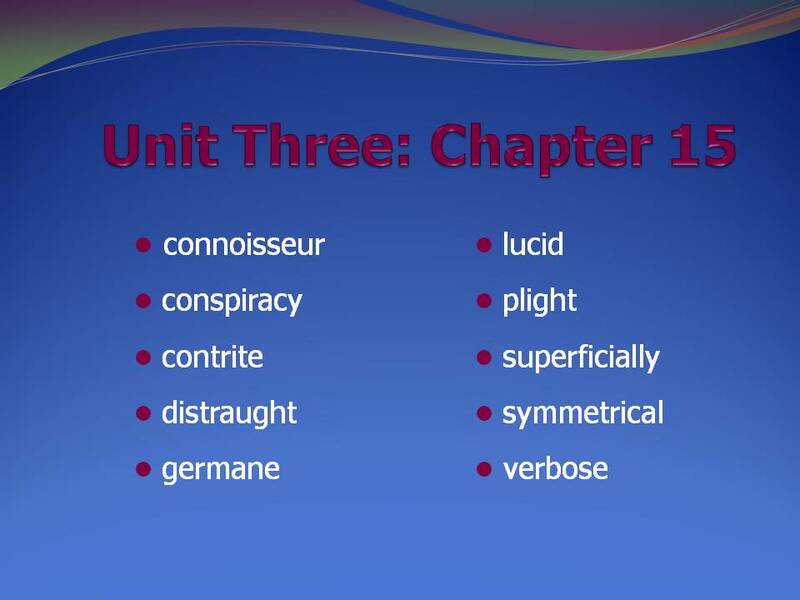 Take Unit 3 Test to see which words you need to study. Use Index cards to write word + definition of words you missed. Download PowerPoint Presentation for Ch. 13. Download PowerPoint Presentation for Ch. 14. Download the PowerPoint Presentation for Ch. 15. Download the PowrePoint Presentation for Ch. 16. Ch. 17 - How Neat Is Neat Enough? Download the PowerPoint Presentation for Ch. 17. Download the PowerPoint Presentation for Ch. 18. 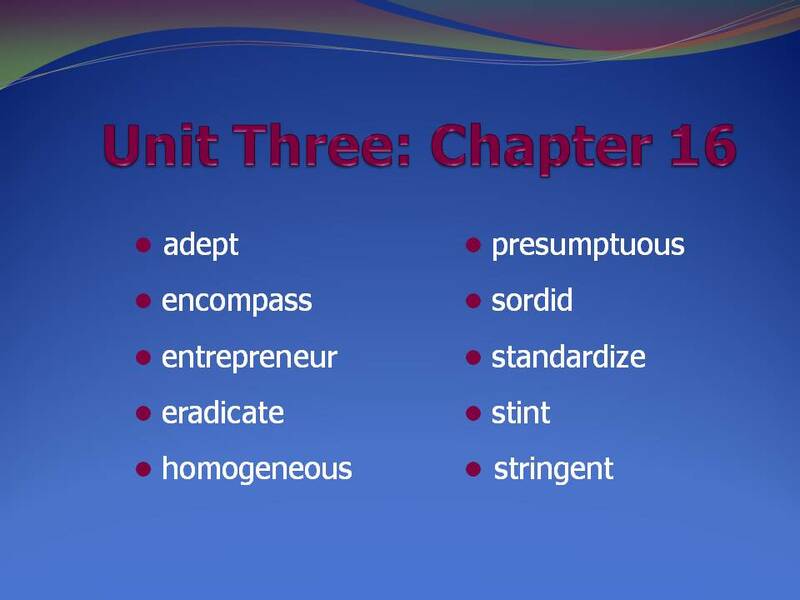 Take Unit 4 Test to see which words you need to study. Use Index cards to write word + definition. Download the PowerPoint Presentation for Ch. 19. Download the PowerPoint Presentation for Ch. 20. Download the PowerPoint Presentation for Ch. 21. Download the PowerPoint Presentation for Ch. 22. Download the PowerPoint Presentation for Ch. 23. Download the PowerPoint Presentation for Ch. 24. Take Unit 5 Test to see which words you need to study. Use Index cards to write word + definition of words you missed. Download the PowerPoint Presentation for Ch. 25. Download the PowerPoint Presentation for Ch. 26. Download the PowerPoint Presentation for Ch. 27. Download the PowerPoint Presentation for Ch. 28. Download the PowerPoint Presentation for Ch. 29. Download the PowerPoint Presentation for Ch. 30. How did you do? Now, review missed words and prepare for the posttest over the words. Have you copied and pasted the stories into your ePortfolio?